4.1 How does Robinhood Make Money? 4.2 How is Robinhood Similar to a Bank Account? 4.3 Is the Robinhood App Safe? Robinhood is a mobile stock trading app that is ideal for beginner investors looking for a broker that charges zero commissions. The smartphone app allows anyone to buy and sell shares for free, in publicly traded companies on U.S. stock exchanges. Charging no fee’s is a revolutionary idea within the brokerage industry and has received significant media coverage due to their controversial business model. There has to be a catch; it sounds too good to be true! Investors should be cautious because they charge no fee’s they can’t offer the same quality of service as the top brokers on Wall Street. The Silicon Valley start-up is still relatively new and has already helped execute $30 billion worth of trades. The venture is valued at $1.3 billion and has been funded by Andresen Horowitz, Snoop Dog, Jared Leto, Google Ventures, Social Leverage, Index Funds, EleFund and Rothenburg Ventures. Robinhood has rapidly expanded since 2015, currently, their application is available on iOS and Android app stores to people based in the US and will soon launch their platform in Australia, Canada, and the UK. The company was setup up by Baiju Bhatt and Vladimir Tenev former college students at Standford University. When they left college, they headed straight to Wall Street to setup their own business, specializing in creating trading platforms for some of the worlds biggest financial institutions. Here they noticed that electronic trading firms and high-frequency traders paid little or nothing to place thousands of trades every day, while retail traders were being charged $10 a trade. They made it their mission to challenge the status quo. In comparison to other brokerages, it’s easy to setup an account and only takes 5 minutes to fill out your details, and then you wait for approval. Provide proof of legal residential address within the US. Once you fill out contact information and validate your SSN, you are allowed to attach your bank account, so you can deposit money to begin trading. On average it takes 1-3 days for your account to get approved, in some cases, it can take up to 5 days if incorrect information is provided. If you’re still not verified after five business days, contact their customer service team to speed up the process. No Commissions & no account minimum – Zero commission trades is the sole reason why Robinhood is quickly becoming the top rated broker for millennial investors. Brokerage firms such as Etrade and Interactive Brokers charge a fee every time you buy and sell a stock; typically they charge $10-$20 per trade. Over time this can add up and eat into your potential profits. User Interface – The app’s design and the user interface is very slick. Their easy-to-use interface means it’s simple for novices to place trades. The interface’s theme changes color from light during market hours to dark during when the stock exchange is closed. Best Stock Trading App for Beginners – Ideal for first-time investors who have little or no day trading experience and have a small amount of money to invest. Part-time traders can gain a feel for the market in a safe environment and then later can upgrade to broker that offer more advanced features such as level 2, charts and quick executions. Robinhood Gold – The company recently introduced a premium service to allow members to trade after hours and open a margin account; the margin is limited to protect users from too much downside risk. The gold account costs a minimum of $10 per month; this allows you to borrow x2 times the amount of capital in your account, you need to deposit at least $2,000 to take advantage of this feature. They have a tiered pricing structure, the more buying power you request, the more you will have to deposit and pay. E.g. $4000 for $20/month and $10,000 for $50/month. Leverage is dangerous for novice traders as they can end up owing money to the broker. Smart Notifications – Alert members to news such – earnings reports, dividends or stock splits, giving you timely information which will help you manage your portfolio. Real Time Stock Market Data – Unlike some brokers who delay real-time data or charge extra for it, stock quotes are free, streamed right to your iPhone. Slow Executions – Fast trade executions are the difference between winning and losing trades. Trade executions are not quick as the larger institutions, so you’re at a disadvantage because you don’t have the opportunity to get in and out of trades at the best possible prices. Hopefully, with Robinhood instant, the gap in speed to competitors will decrease and it now no longer takes 1-3 business days to get access to funds after selling. Poor Customer Service – They have 2 million users, and the customer service team is struggling to serve all their customers, they need to invest more into customer support. Their office is tiny; it’s literally a handful of people in a small wework space in Santa Clara. Response to emails will be slow and you’ll need patience when calling the customer support team to solve any problems you may have. Novice traders are blowing up accounts – Robinhood has greatly reduced the barriers to entry, making it faster and easier for anybody to trade stocks. This isn’t necessarily a good thing, 100’s of young, uneducated traders will blow up their accounts and soon realize trading isn’t as easy as it looks. Thousands of Millennials lost money investing in the Snapchat IPO that turned out to be a disaster. Snapchat IPO’d at $25 and is now at an all-time low of $11.83. Limited Trading Tools – Lack the necessary tools and resources to support day traders. They don’t provide extra features such as charts, stock scanners and level 2 as 90% of users are part-time traders who only place 3-5 trades per week. No Short selling – Robinhood doesn’t allow customers to short sell companies, so you’re unable to capitalize when the price of stocks decline. They hope to offer short selling as an order type in the near future. Not Suitable for Penny Stock Traders – This app is more suited for buying big blue chip stocks and ETF’s. There is a limited selection of penny stocks under $1 available on Robinhood; most penny shares trade on smaller exchanges such as the OTCBB and Pink Sheets. Millennials have a strange obsession with penny stocks on Robinhood, most of them randomly invest in a company under $1 hoping to strike it rich. Luck is not a strategy; you might as well flush your money down the toilet! Transferring Money Can be Slow – It can take a good five business days to transfer money back to your bank account, this isn’t inline with the speed and the design of the application. PDT rule – By offering free trades. they encourage people to trade more frequently, and they focus much on short-term price movements. Scalping is a waste of time due to high-frequency trading as you will get front-run by algorithms. The pattern day trading rule tends to stop most users from over trading. As the saying goes “there’s no such thing as a free lunch.” They make money by collecting interest on deposits within customers accounts and through premium services such as Robinhood Gold. So far the startup has raised $176 million, this has given the given the company a chance to create a “wonderful brokerage experience” without having to worry too much about short term profits. They should become profitable within the next 1-2 years and will have a significant impact on financial apps soon. How is Robinhood Similar to a Bank Account? Bank accounts contain cash deposits, while a Robinhood customer account will contain securities (stocks) and cash. Funds can be transferred to your Robinhood account from your bank account and then can be used to buy and sell shares. All accounts are SIPC insured up to half a million dollars, and there is no account minimum. As they store hundreds of millions, they are vigilant with security because any breaches will destroy their reputation and put them out of business. They are a registered broker-dealer and a member of SIPC and FINRA just like other brokers like Etrade and TD Ameritrade etc. They are more cost efficient than other brokers who have dozens of storefront locations, who use legacy technology and paper-based accounting. As a result of these two factors, they can drastically reduce their costs and will not have to charge customers commissions or any other unnecessary markups. For investors outside of the US, there are some are similar apps you can use to buy stocks for free! TradeZero.co is a cheap alternative; they are a brokerage firm operating out of the Bahamas. TradeZero gives free limit orders if the order does not create an immediate mate. Since they are based in the Bahamas, you can bypass the PDT rule. Another good option for people in the Uk is freetrade.io; they are zero commission broker that will launch sometime in 2017. Etrade and Interactive Brokers’ are the best-paid alternatives for those serious about day trading. In conclusion, it will be interesting to see how their business model will fair out and how the big brokers like will react to the disruption in the marketplace. 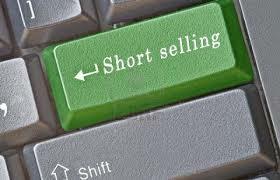 Is Short Selling Penny Stocks a Viable Strategy?